How do you write a dungeon for Dungeon World? In this 72-page, fully-illustrated collection you will find six different approaches, inspired in part by the dungeon creation guidelines in The Perilous Wilds. 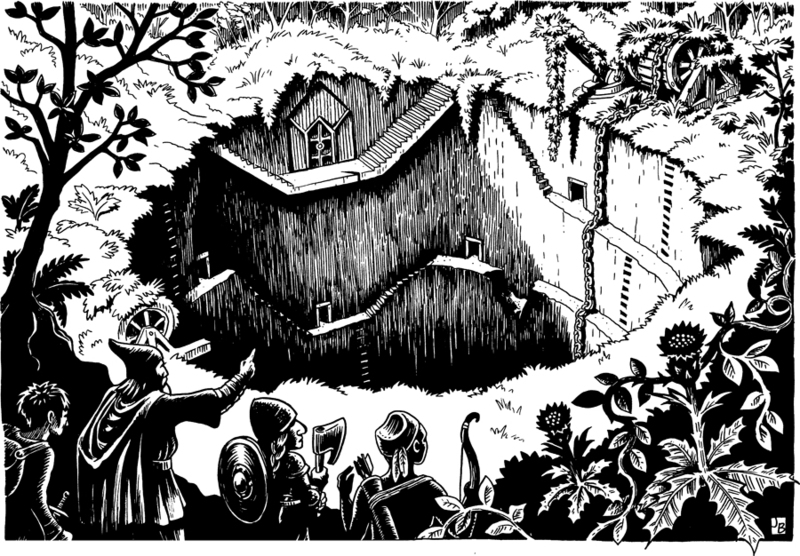 Whether you're kicking off a new Dungeon World campaign or need to flesh out an adventure in a pinch, you'll find what you're looking for in the Perilous Deeps! This title was added to our catalog on December 27, 2015.